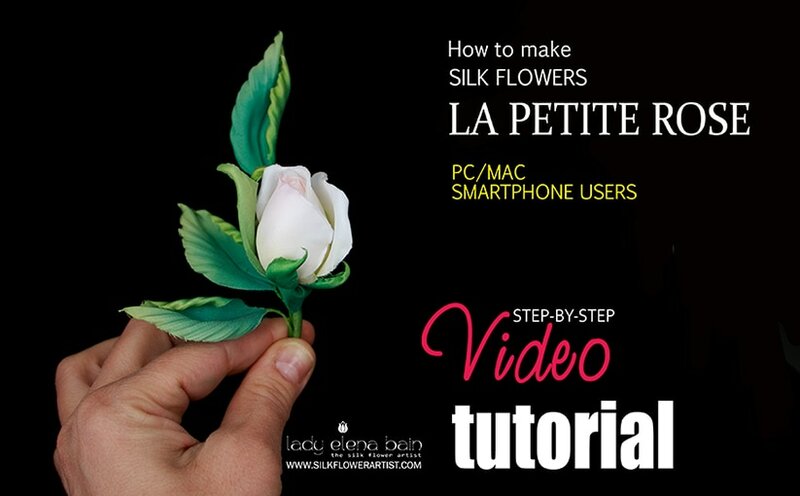 Click image to view the content of the video tutorial "La Petite Rose"
​Hello and welcome to The Silk Flower Artist ! 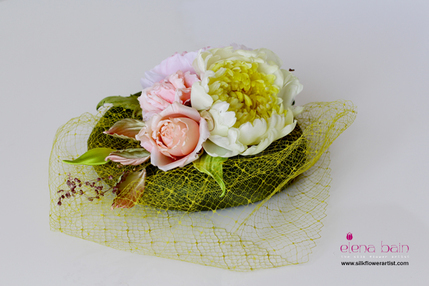 In this video tutorial you will learn how to create basic silk roses. I will show you three different methods of dying silk leaves, a new technique of shaping leaves which will give them extra depth and realism. You will find out how artistically dye, prepare, shape and assemble all elements of the rose. This video tutorial will be useful for both beginners and advanced students in silk flower art. Knowing this particular technique you will be able to achieve outstanding results by varying the number and the color of petals. ​YES. There are many ways to make silk flowers, but to create distinctive silk flowers you need specific instructions in working with fabric, cutting patterns, painting silk, using specialized tools and indeed inspiration. I promise - you will enjoy this video tutorial as much as I enjoyed making it. Let me know if you have any questions regarding this video - I'll be glad to help. ​I'm delighted to announce - the new video tutorial "LA PETITE ROSE" is now available for the true lovers of the Art! 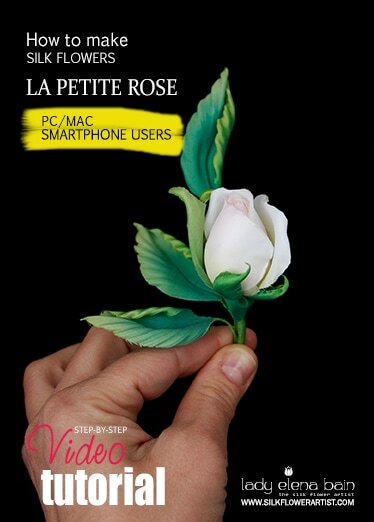 Get your copy of the video tutorial "LA PETITE ROSE"
and start creating within ​minutes! ​Make your first silk rose TODAY ! ​YES, I Want Instant Access Now! video tutorial “LA PETITE ROSE"
​Copyright © 2012- 2017 Lady Elena Bain ~ The Silk Flower Artist. ​This video tutorial is for personal use only. The reproduction, distribution, or copying of any part of this document in whole, or in part, or in any form, and without written permission, is strictly prohibited and will be prosecuted.